Welcome to TerraTreasures and Adventures101 Amber pages. 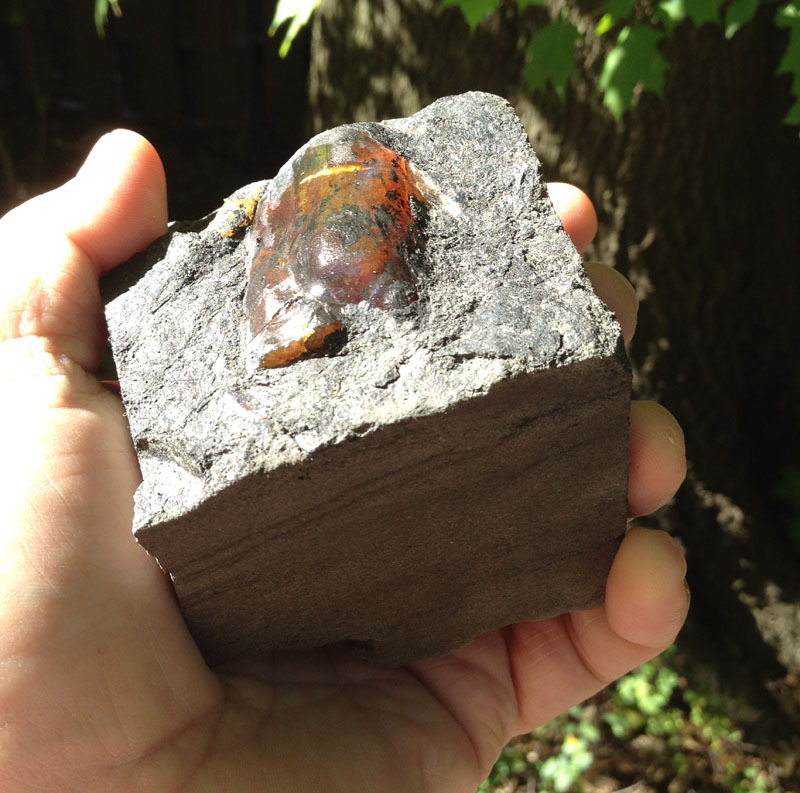 We offer museum quality Dominican amber with insects for sale and also rare Dominican blue amber for sale. Our collections include museum quality display specimens of rare insects in amber, unusual botanicals and flowers in amber and also rare Dominican blue amber. We have been collecting amber in the field since 1993, including extensive excavations in New Jersey, North Carolina, Wyoming, several localities in Alaska, and of course many many trips to the Dominican Republic where we have chiseled out beautiful Dominican amber gemstones in small hand excavated tunnels deep into the rich amber veins way up in the mountains north of Santiago. 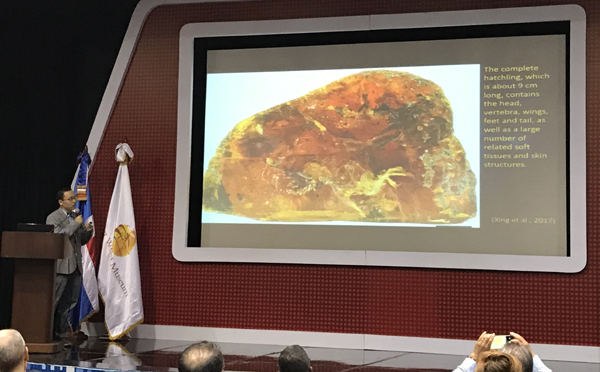 We have some cool photos of the Dominican amber mines and some short video links of us chiseling out amber gemstones in the amber mines and we have some neat information about amber research on Dominican amber, Dominican blue amber and ambers found throughout the world. Enjoy! Dr. Xing presenting on vertebrate inclusions in Burmese amber and also discussing his collecting trips to Burma. 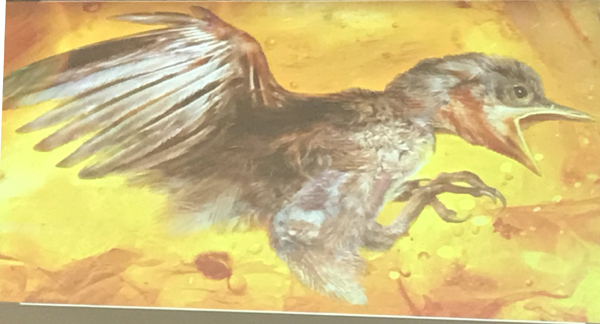 Pterosaur in Burmese amber ? 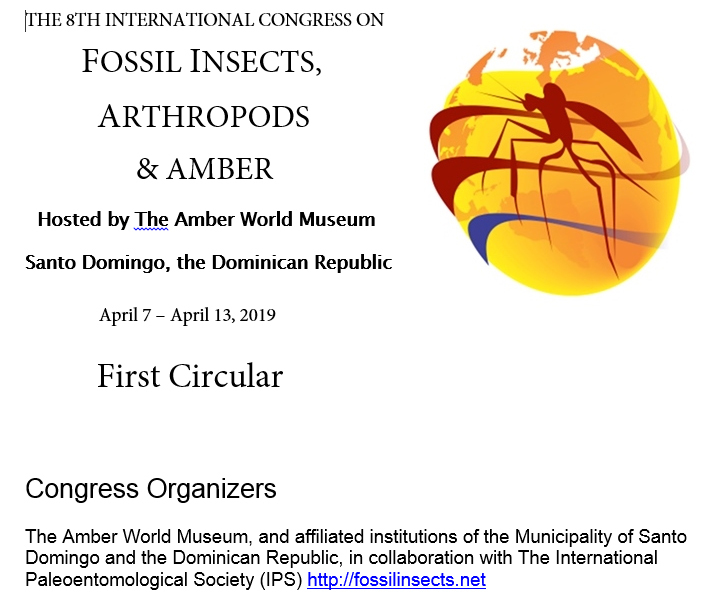 Latest update March 2016 - We have just returned from visiting our friends in the Dominican Republic, in Santo Domingo the Capital city we met and enjoyed the enormous hospitality of our friends from the World Museum of Amber hoping to see them again at the 7th International Conference on Fossisl Insects, Arthropodss & Amber in Scotland in late April 2016. 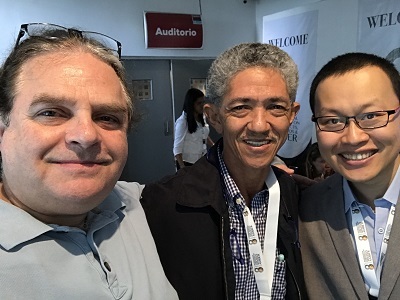 We also met with and enjoyed the hospitality of our friends in the north in Santiago. We journeyed again to explore the La Cumbre Blue Amber and the Los CaCaos blue amber mines both are super small and not for anyone who doesn't enjoy small places - note the photos below. 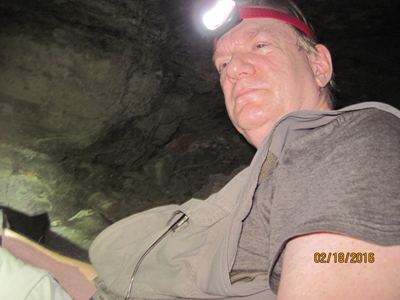 This was again another amazing rewarding successful trip where we examined many rough and polished amber stones, we got to visit with our friends and we got to crawl into La Cumbre and Los CaCoas amber mines much to the enjoyment of the miners. 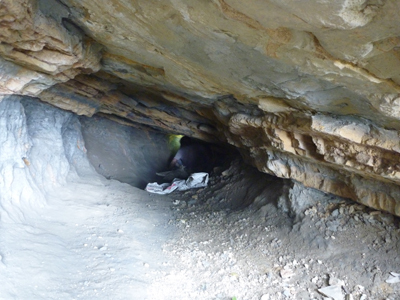 The weather was fantastic with little rain so Los CaCaos was dry but some of the entrance shafts are straight down using rope ladders. There are many miners at Los CaCaos but no one at La Bucara or La Toca - perhaps they are in the east where there are many miners and they are moving lots of earth with machinery. 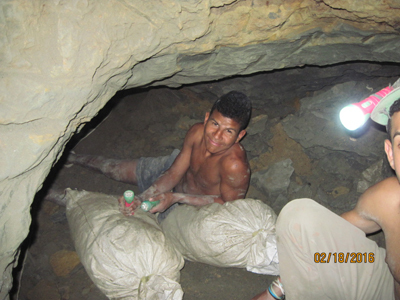 In La Cumbre and Los CaCaos they are still using hand hammers and chisels but many of the miners have flashlights where in the past it was all done by candlelight. We'll post some photos soon along with some cool amber inclusions! 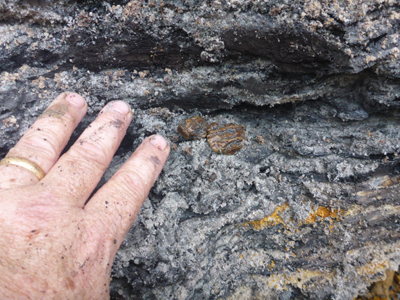 Latest update June 2014 - We have just returned from excavating amber in the Dominican Republic again!, this is our 2nd trip in 2 months and we plan another before the end of the summer. We excavated in the Palo Quemado, Los CaCaos and La Bucara amber mines. This was a good trip with Justin and Tyler Mitnick. 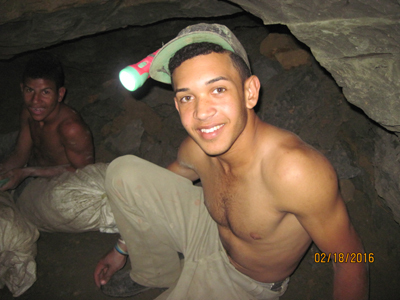 This was Tyler's first trip to the Dominican amber mines. The weather was fantastic with no rain so Los CaCaos was dry but the entrance shafts are straight down using rope ladders. They are moving lots of earth at La Bucara and many miners are working there. We'll post some photos soon along with some cool amber inclusions! 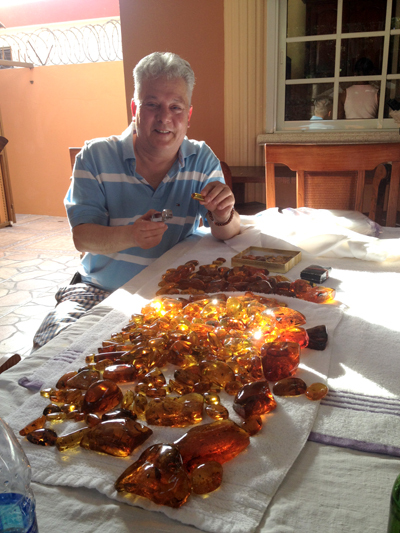 March 2014 - We have just returned from excavating amber in the Dominican Republic. 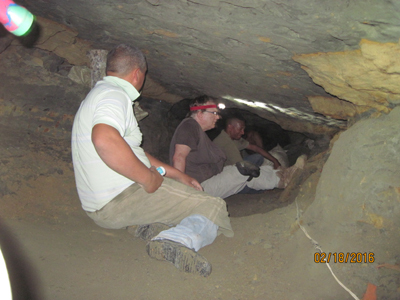 We excavated in the Los CaCaos, La Bucara and La Cumbre amber mines. This was a good trip, we collected both blue and fossil yellow amber from the same layers in La Cumbre, lots of gemmy amber from La Bucara. There is amazing work being done in the mountains north and east of Santiago We'll post some photos soon along with some cool amber inclusions! 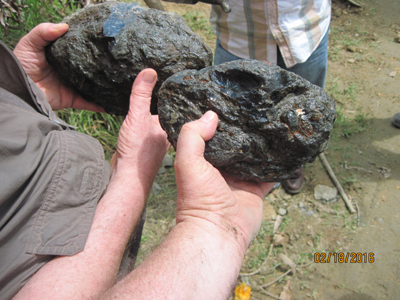 September 2012 - We have just returned from excavating amber in the Dominican Republic. 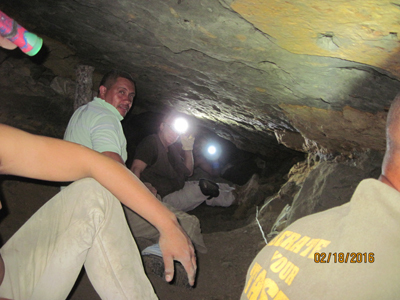 We excavated in the Los CaCaos, La Toca, La Cumbre, La Bucara and Palo Alto amber mines. This was a good trip, we collected both blue and fossil yellow amber from the same layers in La Cumbre, lots of gemmy amber from La Bucara and black amber from La Toca. 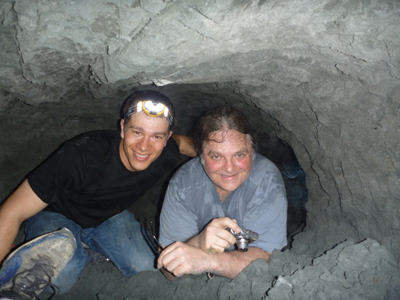 The tunnels in the La Toca amber mines are very very deep, there are sometimes less than 2 1/2 feet high with barely enough room for 2 people to crawl in side by side and over 300 meters deep - not for the claustrophobic at all! We'll post some photos soon along with some cool amber inclusions. update January 2010 - We have just returned from collecting amber in Asia with the American Museum of Natural History. We have found many beautiful gemstones and will be posting a few photos and some data shortly. Hopefully we'll have some papers to link by mid July 2010.
update April 2009 - After many days of rain there has been a huge soil slide at the Carlos Diaz amber mine east of La Toca. 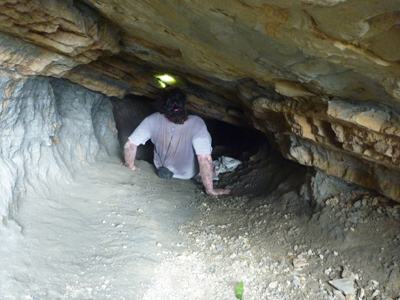 No one was injured but the mines are completely slumped over. 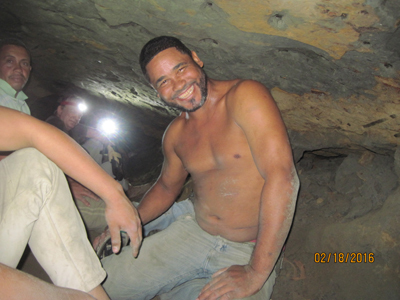 Very few miners are working La Toca as the workings and it is difficult to haul out the siltstones and rock. The workings at La Bucara are easier because they are much less deep than at La Toca. 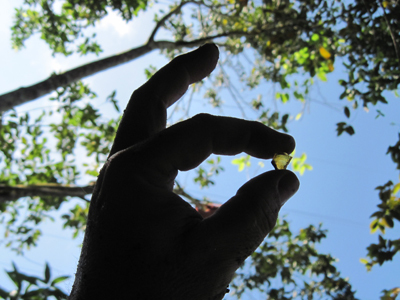 The amber from La Bucara is different from La Toca although the mines are physically fairly close to each other. The amber from La Bucara tends to be much harder but we think the inclusions are more diverse from La Toca. 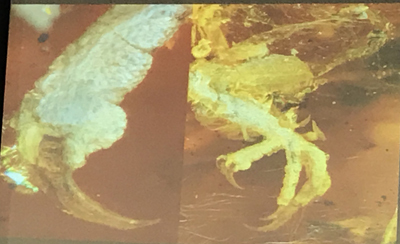 We have some very nice inclusions including an almost unheard of Solpugid, several mantids, a few partial lizards some cool flowers and some really unusual flies. We will be prepping and photographing rough over the next few months. update January 2009 - It has been a very wet year, it is still raining in the mountains as of late December 2008. There are just a few miners are working in the the La Bucara, La Toca and Palo Alto amber mines. We have some very nice specimens that were recently excavated in the La Toca and La Bucara amber mines in late autumn 2008, we will be prepping and photographing rough over the next few months. 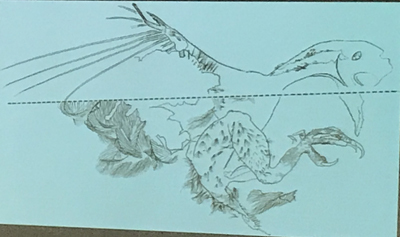 We have found a very rare nearly complete reptile from the Palo Alto mine - at this point we think it could perhaps be possibly the only one found in Palo Alto! 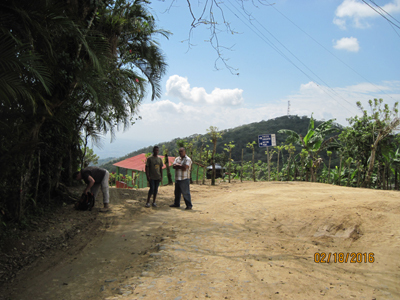 update May 2007 - The winter heavy rains have stopped - most miners are working in the the La Bucara amber mines. We have some very nice nice large clear gemstones from La Bucara - very hard with little fractures and nice color. We also have some very large rough specimens with very large inclusions. We will be prepping and photographing rough over the next few months, we have already found a beautiful Phasmid the best we have ever seen from the Dominican Republic! update August 2007 - Although the heavy rains have stopped - the La Toca amber mines still have much water, the La Bucara amber mines have little amber compared to La Toca although they are just on the other side of the ridge from La Toca. We did not find much amber in the La Toca mines and the miners had little amber themselves - we expected to find quite a bit more amber in La Toca because of all the amber we were finding in the tailings from the mines. 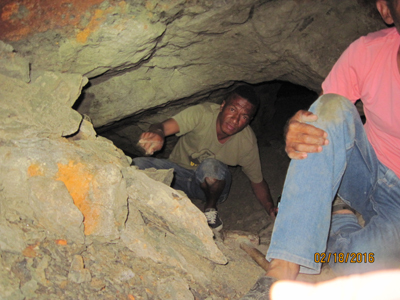 One mine in La Toca had 9 miners working inside the mine the most we have ever seen inside of 1 mine. 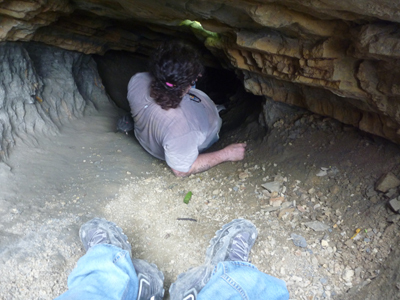 This mine was perhaps 200 meters deep or more than 600 feet - more than 2 football lengths - not for the claustrophobic. The La Bucara amber mine was nearly dry compared to La Toca, one of the 2 seams being worked at La Bucara had 6 miners working a seam both a high seam and a low seam at the same mine. 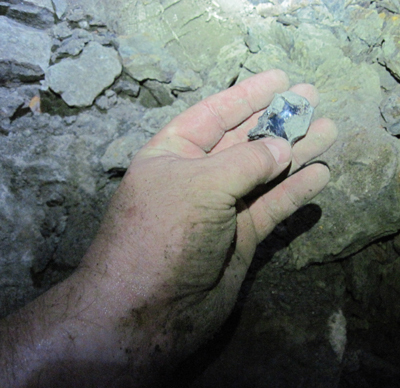 We found some nice gemstones at La Bucara - very hard with little fractures and nice color. We will be prepping and photographing rough over the next few months, we have already found a beautiful partial DamselFly and our first ever Lacewing!. 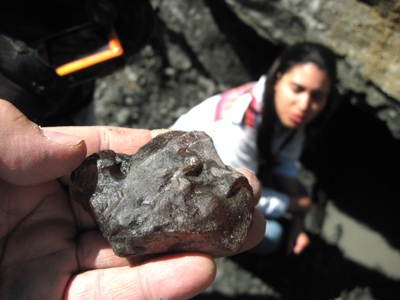 update April 2007 - Due to the heavy rains of late the Palo Quemado and Los CaCaos mines are not being worked at all due to the danger of mudslides and cave ins, as a result there is little to no blue amber being excavated. In the last month there are only perhaps 2 dozen miners working the mines north of Santiago as compared to several hundred miners that would normally be working this time of year as all the mines have water - even the mines near the top of the ridge line. We haven't ever seen as much rain as we have in the last year, nearly a year of rainy season weather. December 2005 - We have just added links to our New Jersey Amber Pages, our Wyoming Amber Pages and our Alaskan Amber Pages. Very have hundreds of photographs of our collecting friends, the amber excavations, the amber specimens and of course the amber inclusions. Many of our New Jersey amber photos are from the very early days of 1993 through 1998 pre digital so please keep that in mind when viewing these photos that are fairly old, enjoy! August 30, 2004 - We have just returned from another collecting trip in the Dominican Republic. 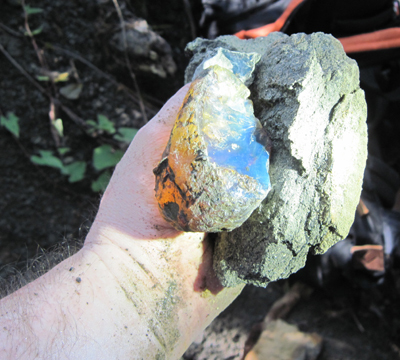 In the mountains there are less and less miners actually working in the amber mines and as we suspected the miners are finding little 1st quality blue amber, and little amber in general, we excavated in 3 mines at La Cumbre and found almost nothing of significance. The miners have reopened some old workings at La Toca, however as always La Toca has the highest percentage of oxidized amber, whereas La Cumbre and Palo Quemado have the highest percentage of 1st quality fossiliferous gemstones, although we did see some very large amber stones from La Toca that the miners brought to us while we were excavating in La Cumbre. We have returned with some very nice large amber gemstones from La Cumbre barren of fossils but wonderful for jewelry work, and some very nice fossil gemstones, including an exceptional feather, a large Cerambycid, several snails and some cool flies with our paleoentomologist friends at the American Museum of Natural History will examine and identify. 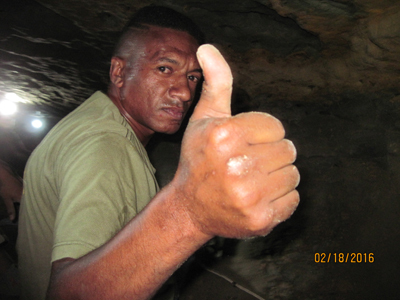 When we see how difficult it is to extract even 1 small gemstone after many many hours of sweaty chiseling through the rock deep in a mine and how perhaps only 1 gemstone out of thousands is significant, it is no wonder many miners have left the mountains and gone into the towns to work. When we first started collecting amber in the mountains north and northwest of Santiago we estimate there were some 400 miners working all the mines, now we estimate there are less than 80 miners in all the mines. Perhaps a new abundant vein of fossiliferous gem quality amber will be found but if that does not happen, our collections and your collections will be of more significance. July 30, 2004 - A slow moving landslide caused by floods in late spring of 2005 have destroyed the homes of some 40 miners near Palo Quemado and La Nueva Toca amber mines. No one was injured and all have moved. The mine workings are now covered by tons of dirt on the roadside of the mountain. We have several hundred new specimens that we are preparing and photographing and will be offering soon, including some very unusual spiders.